VBS Direct Ltd - Case Studies & Practical Considerations - Innovative solutions for the veterinary professional. 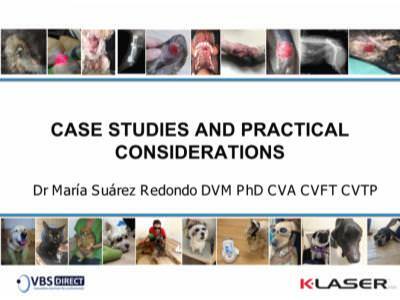 Webinar presented by Dr. Maria Suarez Redondo DVM, PhD, CVA, CVFT, CVTR. Dr Suarez is a soft Tissue Surgeon and Lecturer at Madrid Veterinary School and Director of the Integra Veterinary Centre. Author of numerous scientific publications and experienced lecturer on surgery, acupuncture and laser therapy.